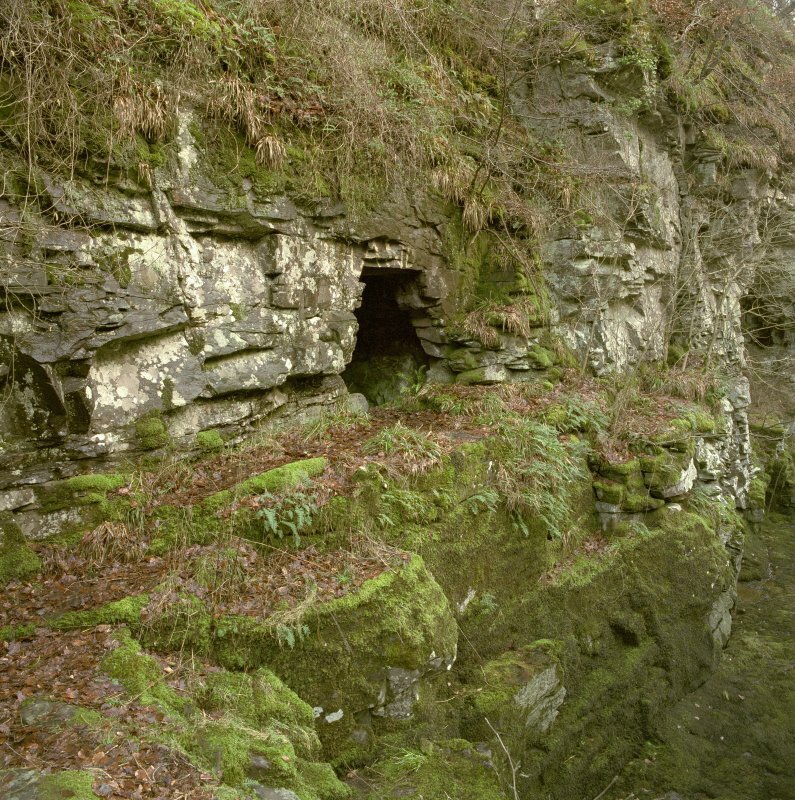 Wallace's Cave is a cavity in the face of the cliff near Corra Linn. It is nearly circular in form, 12 feet in height and about 10 feet in diameter. It is said to have been a hiding place of Wallace. The late Mr G Ross remembered the cave being formed during the construction of a swing bridge. A modern feature, as described by ONB.